Shaw’s Freedom Mobile has been staggering its VoLTE and Extended Range LTE roll out, but with all the announcements, Apple iPhone users have still been waiting patiently, despite being told support was coming. 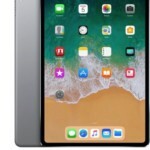 That is all set to change when Freedom Mobile launches VoLTE and Extended Range LTE for iPhone users with the release of iOS 12.1 on Tuesday, October 30th. According to documents seen by iPhone in Canada, a Freedom Mobile carrier update will be part of the public release of iOS 12.1, which will arrive the day of Apple’s special event in New York City. Another requirement for VoLTE and Extended Range LTE to work for iPhone users is a Profile 6 or 6A SIM card. 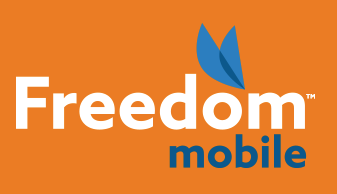 Those with an older Profile 5 SIM card can get a free swap at any Freedom Mobile location. Profile 6 SIM card users can ensure their card is updated by sending a “SIM” text message to 40001. Shaw recently announced Freedom Mobile gained 85,000 wireless users during their Q4 earnings, bringing their total wireless base to 1.4 million users in Canada. Update Oct. 29: Looks like iOS 12.1 did not drop today. According to Freedom’s document, VoLTE and Extended Range LTE is dependent “upon Apple Carrier Bundle Update completion.” Expect iOS 12.1 to drop tomorrow after Apple’s event. The key takeaway here is we have documentation confirming iPhone users will get VoLTE and Extended Range LTE. Update Oct. 29, 1:50 PM PDT: Apple has officially announced iOS 12.1 will be released on October 30th. We’ve updated this article accordingly.